Teeth whitening is a treatment that can repair the discoloration of teeth by removing or lightening stains and restoring the tooth’s natural surface color. Discoloration usually appears when the enamel covering the tooth wears down and becomes more transparent, which then gives the teeth that yellow color look. There are two main types of tooth stains; extrinsic stains form on the tooth’s surface and are a result of foods, drinks, tobacco, and other external factors, and are usually considered minor. Typically, they can be removed with good oral hygiene habits and regular dental cleanings at your family dentist’s office. Intrinsic stains, which are formed inside the tooth because of trauma, aging, or certain health conditions, can sometimes be removed with whitening treatments. 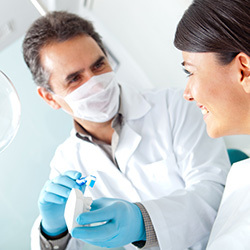 In some cases, intrinsic stains are addressed via other dental treatments. 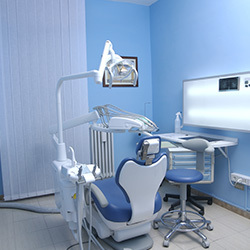 This teeth whitening treatment involves the application of a higher level of peroxide on your teeth, followed by treatment by a special light to magnify the results of the bleaching agent. 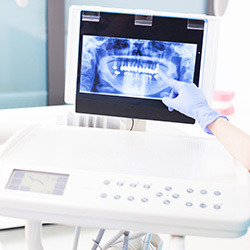 During this procedure, the dentist will protect your gums and soft tissue with a rubber guard or protective shield to avoid any damage to your gums or mouth. 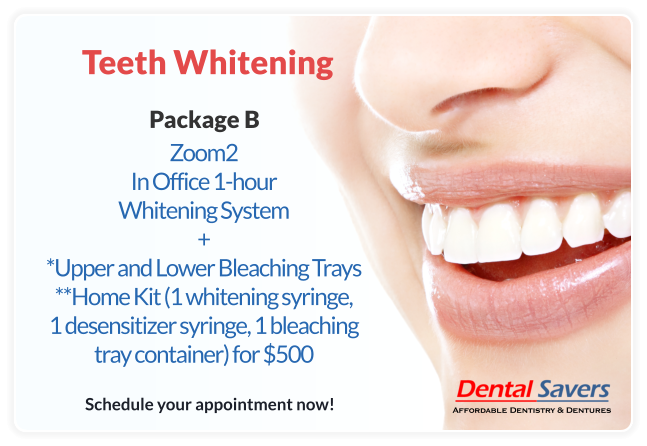 If you are interested in teeth whitening, call our offices today and make an appointment! Be sure to ask about our teeth whitening specials, too.